Trapped inside her own body, she has listened to the sounds of her children growing up without their mother. 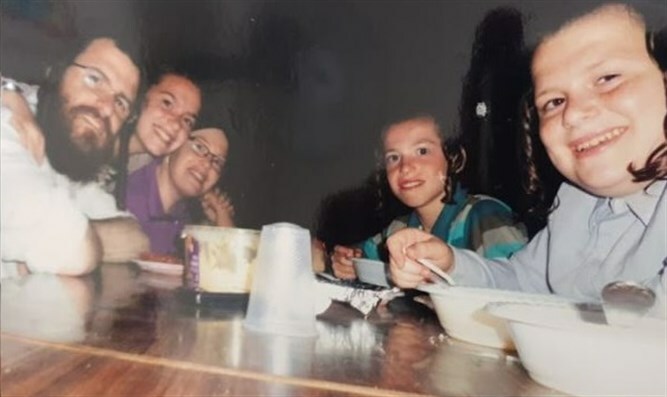 Eight years ago, Gittel Adler of Ashdod gave birth to her sixth child, a daughter named Fraidy. Shortly afterward, however, she began to complain of migraines. Her family had no idea of the extent to which their lives were about to change. Gittel was diagnosed with a brain tumor, and promptly operated upon. Husband Yisrael struggled to raise his children single-handedly whilst tending to his wife’s medical needs and sustaining his business as a tefilin maker. Gittel’s condition worsened and before long, she was blind and paralyzed from the neck down. Trapped inside her own body, she has listened to the sounds of her children growing up without their mother. For eight long years, Yisrael has managed to support his family. Gradually he has lost most of his business due to his lack of availability. At this time, Gittel needs 24-hour supervision, and requires many specialists in order to treat her health issues and to train her to function without sight. Gittel’s necessary treatments alone cost a shocking 27,000 shekel ($7,500) a month. Yisrael has finally reached the dreaded point of desperation: There are no savings left to cover his disabled wife’s treatments, or to support his children. The family consequently decided this week that their only remaining option is to go public with their suffering. A Chesed Fund page was started with an emotional letter from Yisrael. Originally accompanying the campaign page was a video of Gittel, addressing the camera with sightless eyes. “I can’t pray, I can’t do anything,” she says, in hopes that strangers would stumble upon her family’s story and find it in their heart to give. The video was so difficult to watch however, and the contrast between pictures of her happy and healthy eight years ago and now so striking, that the family was advised by rabbanim not to include the footage. Their hope is that even without the most gruesome details they will gain a platform to tell their story. Donations are being accepte here with the goal of covering Gitty’s treatments, and enabling her family to afford the most basic necessities without sufficient income. If possible, funds could go also go toward acquiring live-in assistance so that husband Yisrael can return to work full-time.